We’ve all heard that Gentlemen Prefer Blondes. Sure. Maybe. Or perhaps they prefer women who are confident. Someone who is willing to put on her slinky black dress, and walk that red carpet like she owns it. But a woman’s life isn’t all about what a guy likes. No, it’s about what she likes. And we know what you like. Diamonds dripping from your neck. Twinkling precious stones at your ears. Yeah, this Marilyn Monroe Jewelry Set is just the thing for you. These jewels will make you feel a little more like one of the most beautiful women we’ve ever seen, all the while keeping you looking classy, and red carpet ready. 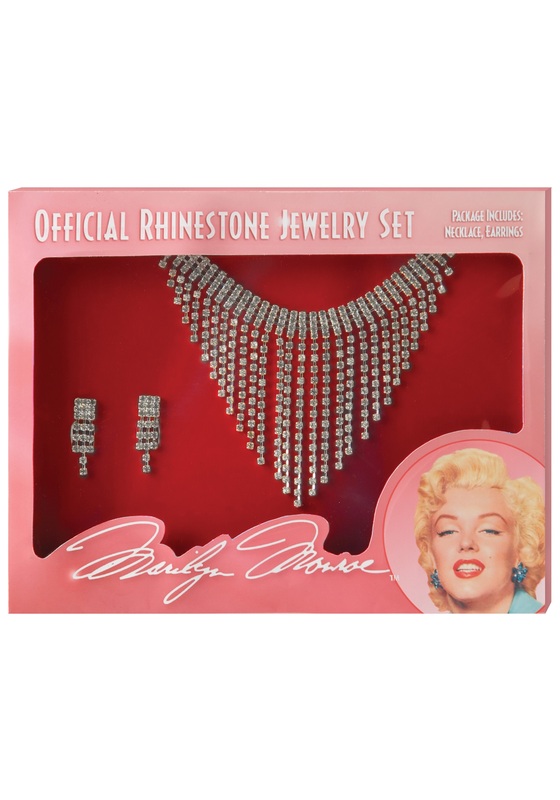 Norma Jean won’t have anything one you when you slip this necklace, and earring set on. So, while gentlemen might prefer blondes, you prefer diamonds!